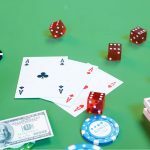 Three live tournament stories to share including Patrik Antonius hosting a live tournament series and news from the World Poker Tour in Johannesburg and the World Series of Poker in Atlantic City. 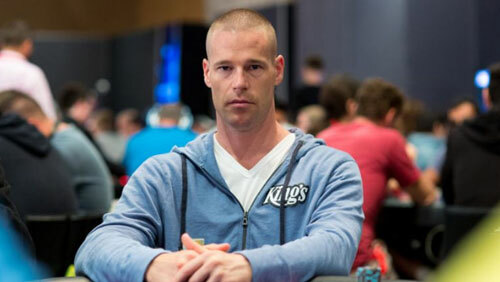 Patrik Antonius is many things. And now, a man with a live tournament poker series. The Finnish star has been extremely active on the live tournament scene this past year, competing in opposite ends of the spectrum with appearances in the Battle of Malta versus the Triton Poker Series, and it’s all down to his soon-to-be-released poker app: First Land of Poker (FLOP). Not much is known about the app, other than Antonius telling me that it’s better than silk, cuddly Instagram cat pictures and gluten-free food, but all will be revealed between April 1 to 7 when The Patrick Antonius Poker Challenge (PAPC) hits Tallinn, Estonia. The former European Poker Tour (EPT), Tournament Director, Teresa Nousianen, has helped Antonius knit together a 52-event series with tournament buy-ins ranging from nothing to €25,000. The Olympic Park Casino and the Hilton Tallinn Park act as hosts. A€1,500 buy-in (Unlimited Re-Entry) No-Limit Hold’em Main Event 4 – 7 April. 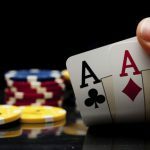 A €5,200 Pot-Limit Omaha 4 April. 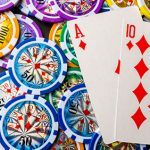 A €5,200 No-Limit Hold’em 5 April. A €10,200 No-Limit Hold’em Championship Event 6-7 April. A €25,000 No-Limit Hold’em High Roller 3 April. And of course the grand unveiling of his new poker project. There will also be a televised cash game, with Daniel ‘Jungleman’ Cates confirmed to appear. Ryan Eriquezzo has earned his third World Series of Poker Circuit (WSOPC) gold ring after taking down the 357-entrant $1,700 Main Event at Harrah’s in Atlantic City. The victory is Eriquezzo’s ninth tournament win and his first since 2015. It’s his second WSOPC Main Event win after taking down the 635-entrant $1,600 Main Event at Caesars in Atlantic City back in 2012. 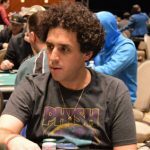 Eriquezzo also has a WSOP bracelet hidden in a vault somewhere after winning a career-high $416,051 after taking down the $10,000 WSOP National Championship back in 2012. Three other alleycats who ventured deep in this one were Aaron Mermelstein (13th), Joseph Liberta (19th) and Matthew Brady (21st). China-born, You Zeng, has taken down the 452-entrant WPTDeepStacks Main Event in Johannesburg. 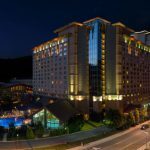 Zeng earned a career-high score of $69,451 over three-days of play at the Emperor’s Palace Hotel & Casino over the weekend. Zeng’s only other live tournament score came in 2016 when he finished 7/207 in a No-Limit Hold’em Freeroll put on by the WPT where he netted a $2,246 score. Here is a short highlight reel from the WPT team. The next time the WPTDeepStacks Tour shows up, it will be at Maryland Live! March 23rd. The WPT Main Tour is currently preparing to set up camp in the Venetian in Las Vegas for the first time the tour’s history.